Rajinikanth's Darbar is set for a Pongal 2020 release. Well, Pongal releases have always proved to be lucky for the actor. Whenever the actor’s films hit the screens for the harvest festival, he reaps gold at the box office. His latest Pongal release Petta was a superhit and crossed Rs 100 crore worldwide on the first weekend after its release on January 10. Also, how How can we forget the historic blockbuster Baasha, which was his last Pongal release before Petta. Actress Nayanthara, who was last seen on-screen playing a double role in horror-thriller Airaa, has been signed as the leading lady opposite superstar Rajinikanth in the movie. Denying other casting reports that have been doing the rounds, Rajinikanth's publicist Riaz Ahmed, on Monday, took to the photo-sharing app to confirm that Nayanthara is on board. After working with Rajinikanth in Chandramukhi and also briefly in Kuselan, this is the third time Nayanthara will be teaming up with the 68-year-old star. Rajinikanth, who went for an image change in his recent films like Kabali and Kaala, made with director Pa Ranjith, is all set to play the character of a cop (who is mischievous, sly and of course, stylish) in his upcoming film. Well, superstar will play a police officer in Darbar after 27 years! He was last seen playing a cop in the 1992 film Pandiyan, in which he was the protagonist who wanted to avenge his brother-in-law's death. Before Pandiyan, Rajinikanth essayed the character of cop Alex Pandian in Moondru Mugam, which released in 1982. Helmed by AR Murugadoss, Darbar is expected to go on floors this month. This will be the superstar’s first-time collaboration with the Thuppakki director AR Murugadoss. 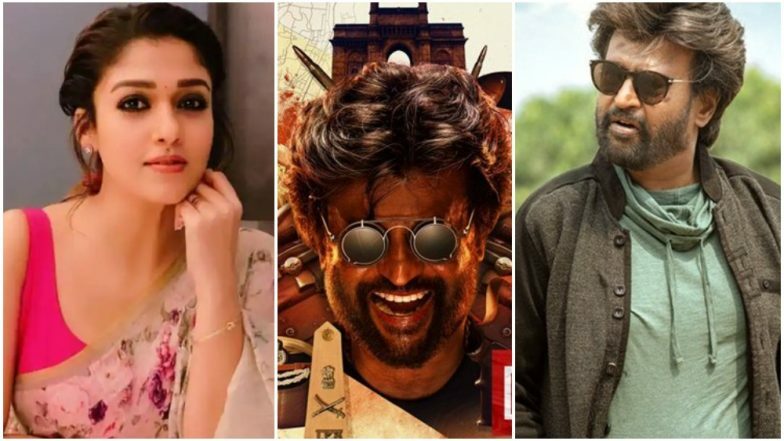 Darbar, which will be entirely shot in Mumbai as reports suggest, marks both Rajinikanth and Murugadoss' return to familiar territory, as both have shot extensively in that city for their films. While Santosh Sivan will be cranking the camera for this Rajinikanth film after Mani Ratnam's Thalapathy, Anirudh Ravichander is in-charge of the music.